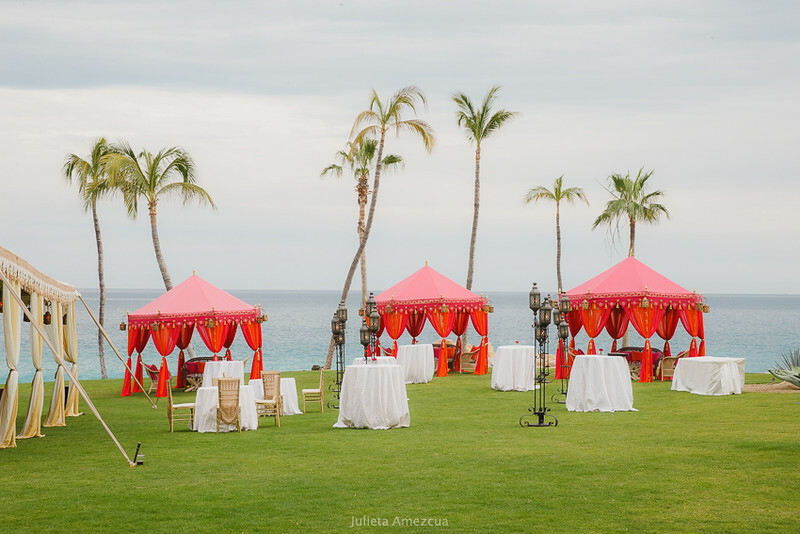 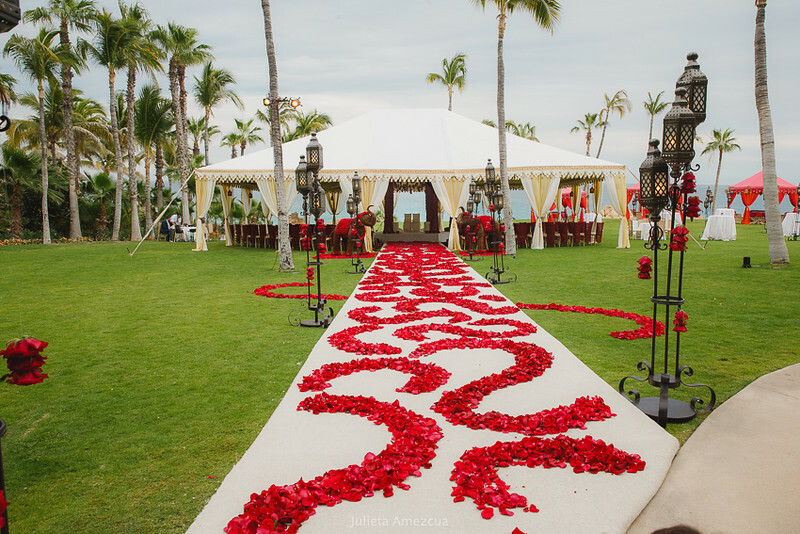 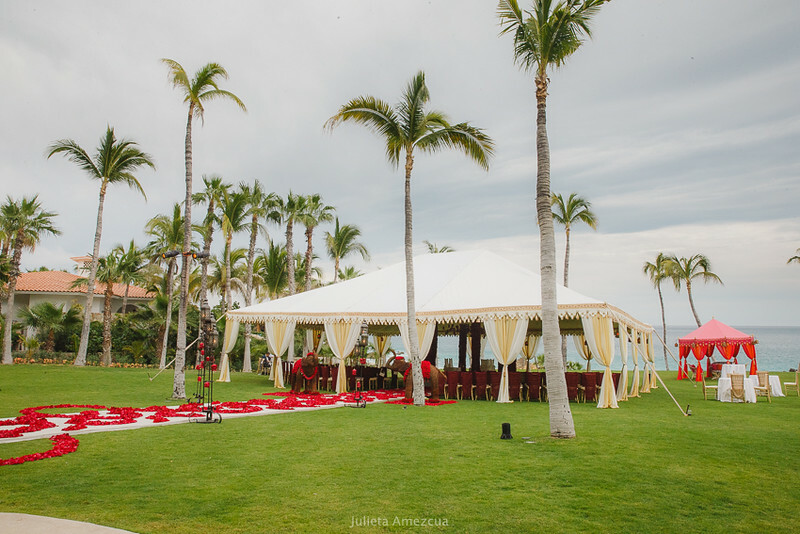 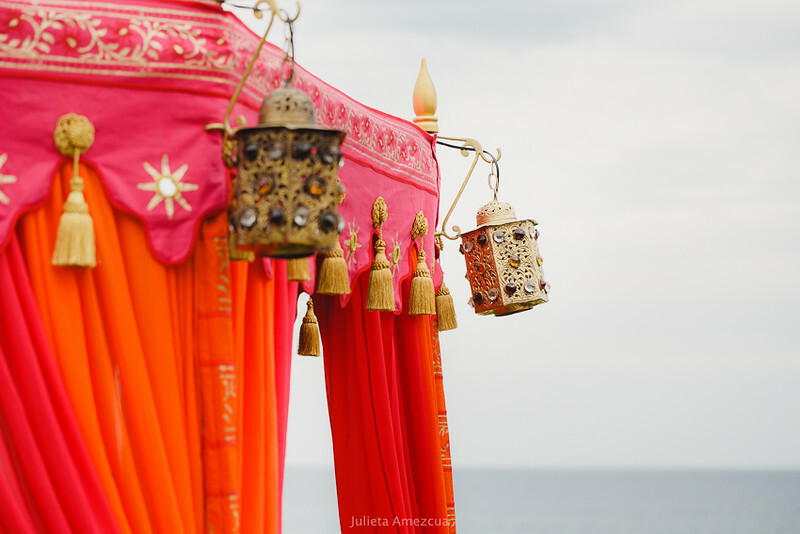 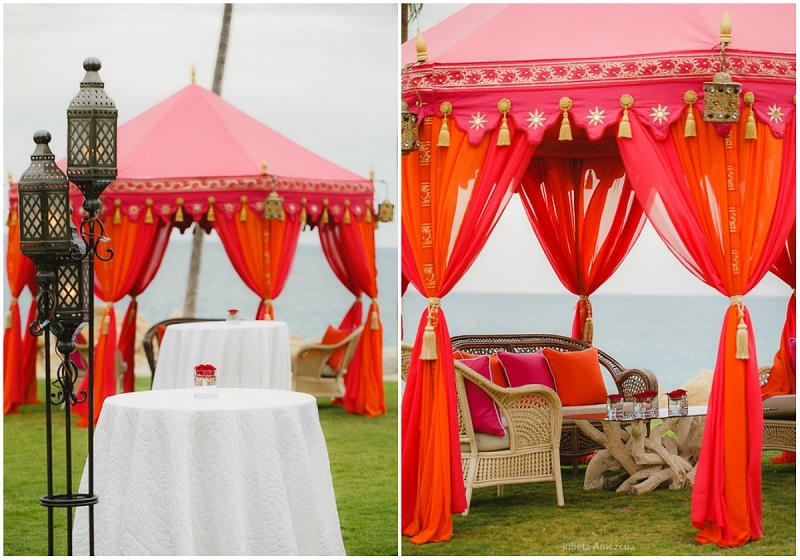 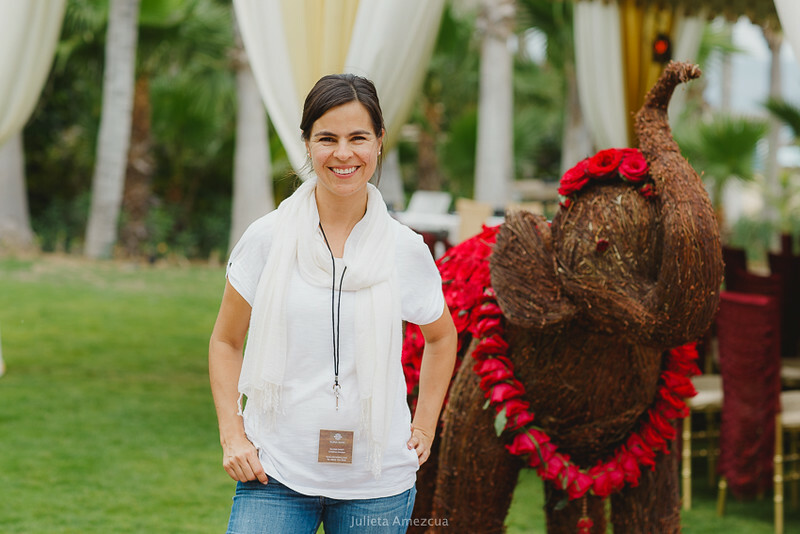 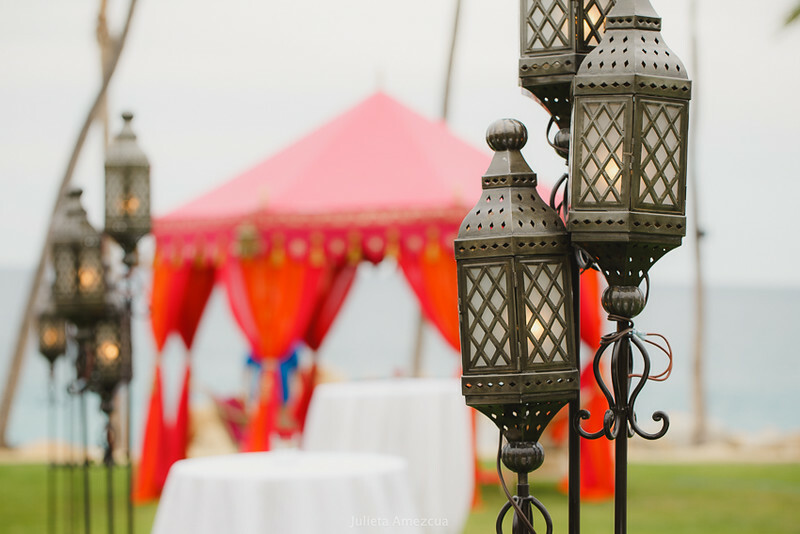 WE RECENTLY HAD THE PLEASURE of collaborating with Exquisite Events, an event planning company in Los Angeles, on a spectacular multi-day Indian wedding celebration held at One&Only Palmilla. 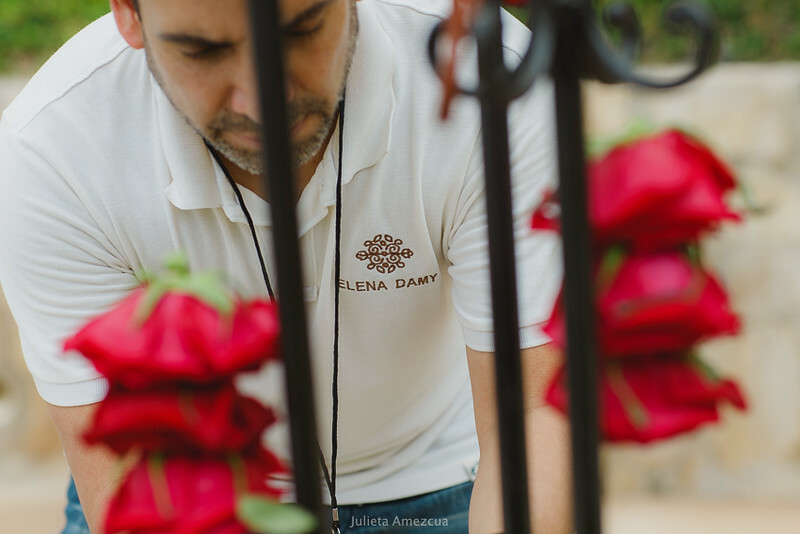 Over the course of several days, Elena, Carlos and the entire Elena Damy Production Team, worked tirelessly to bring each breathtaking floral design to life. 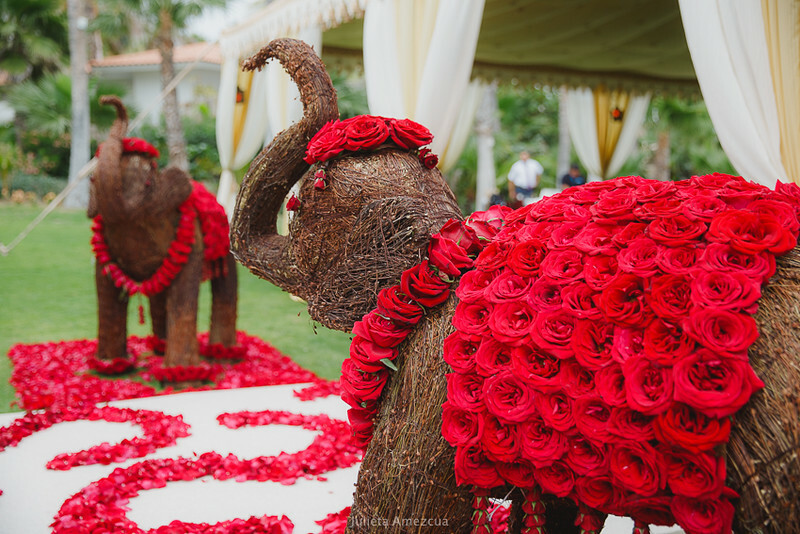 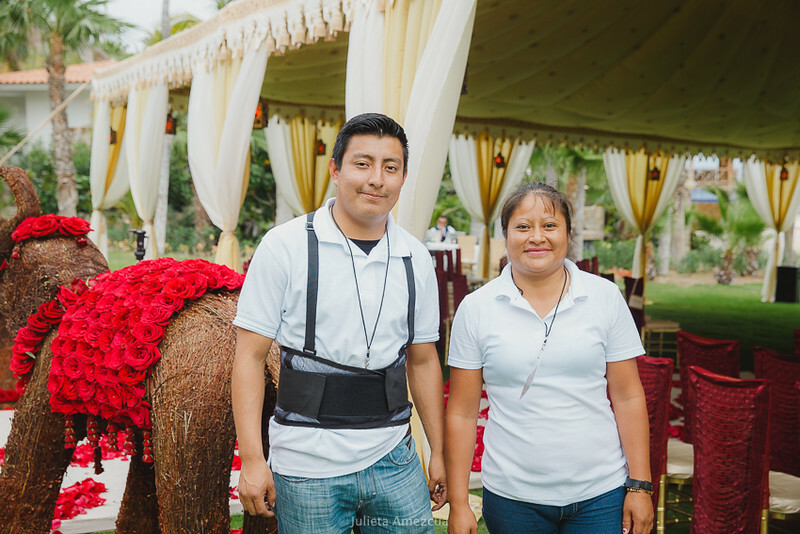 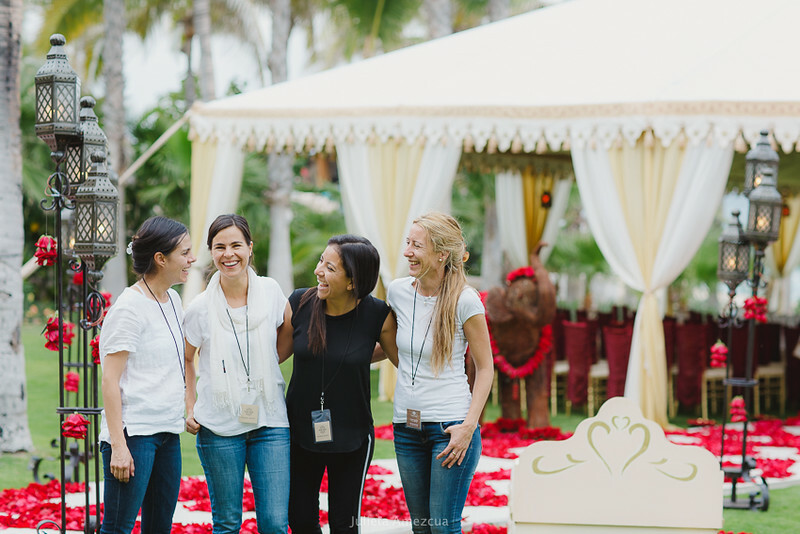 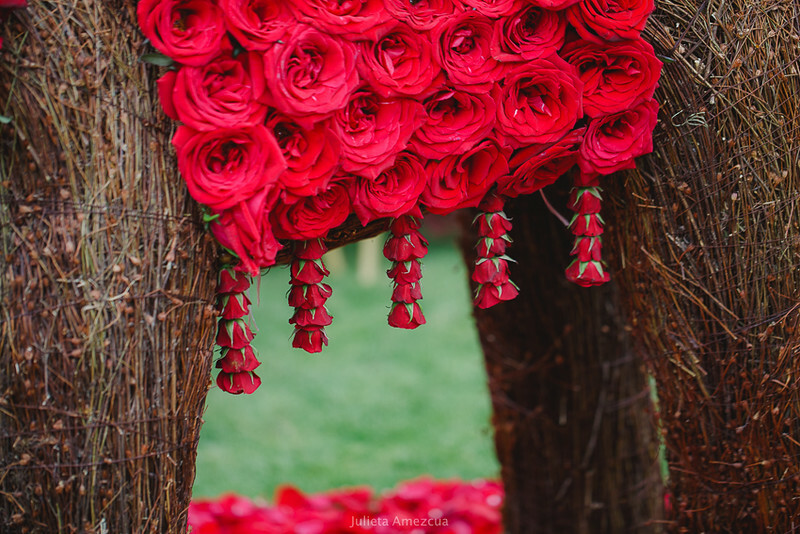 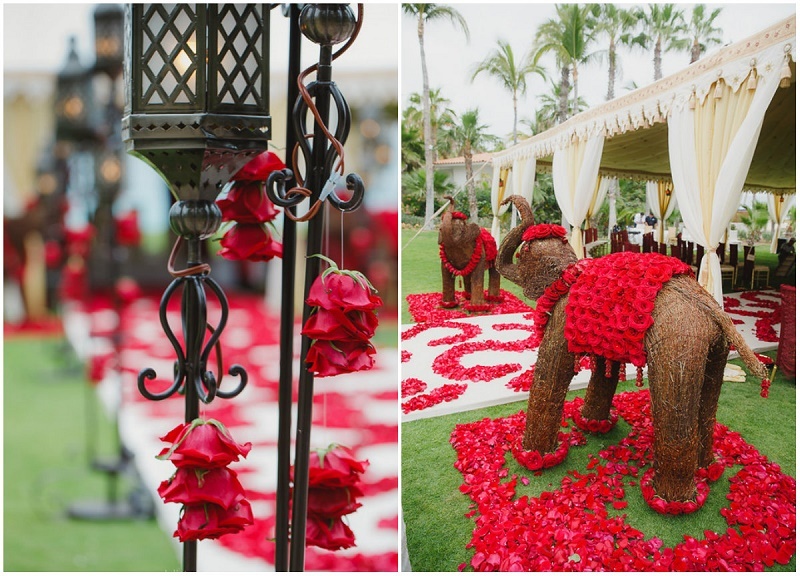 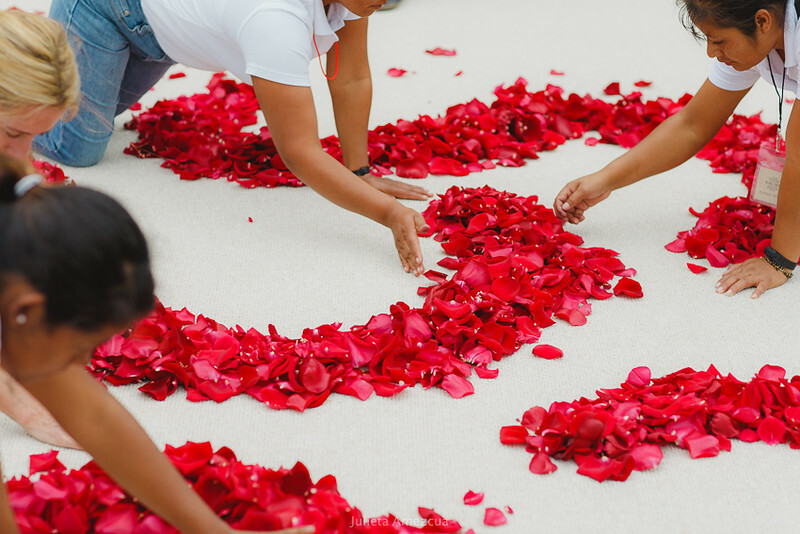 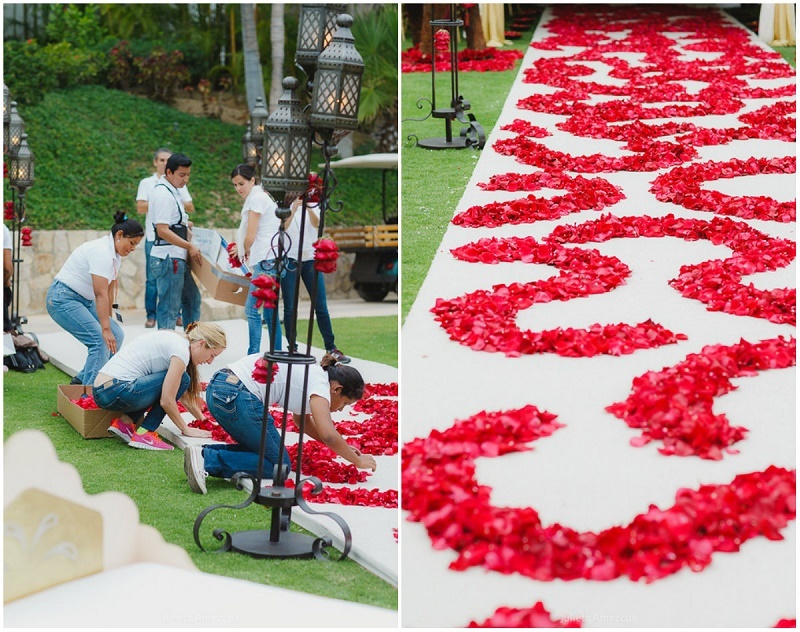 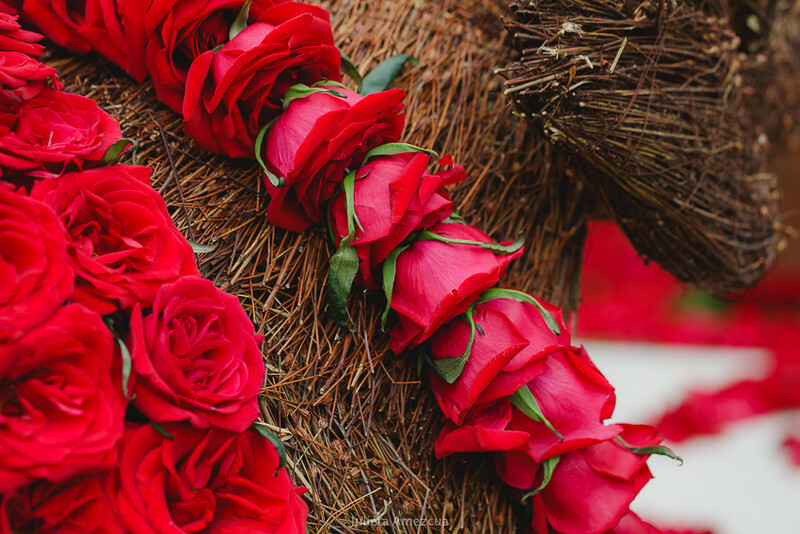 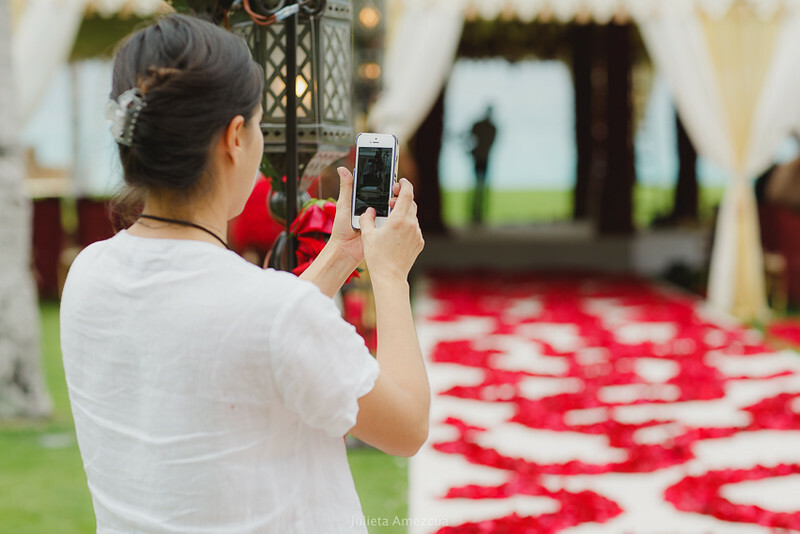 We thought we would share a peek behind-the-scenes as #TeamElenaDamy got busy, stringing roses on lanterns, hanging roses on the mandap, decorating our elephants with more roses, and creating one amazing ceremony aisle with thousands of velvety rose petals. 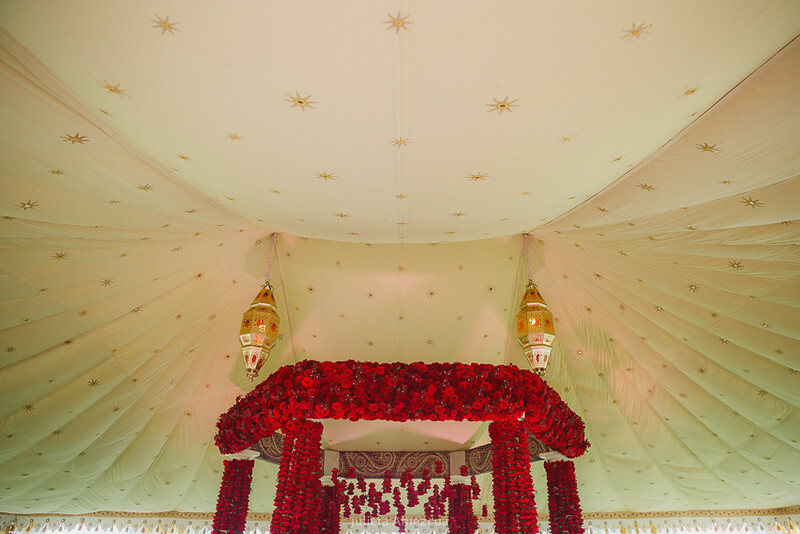 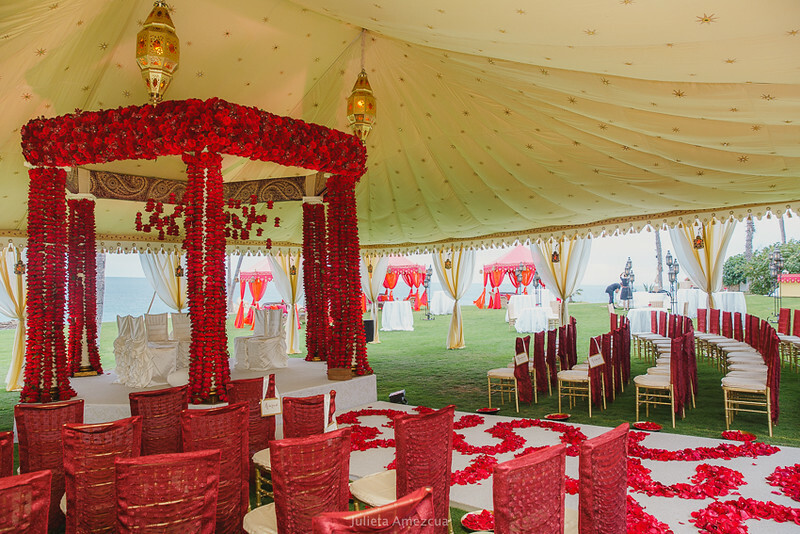 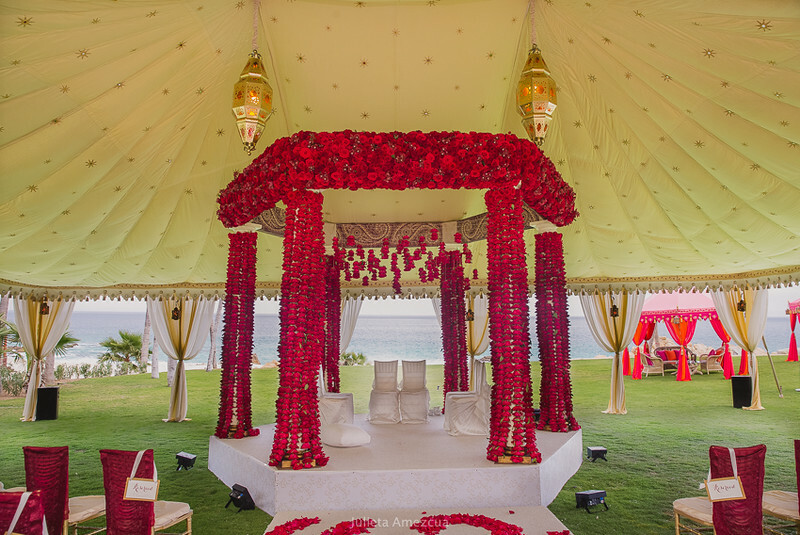 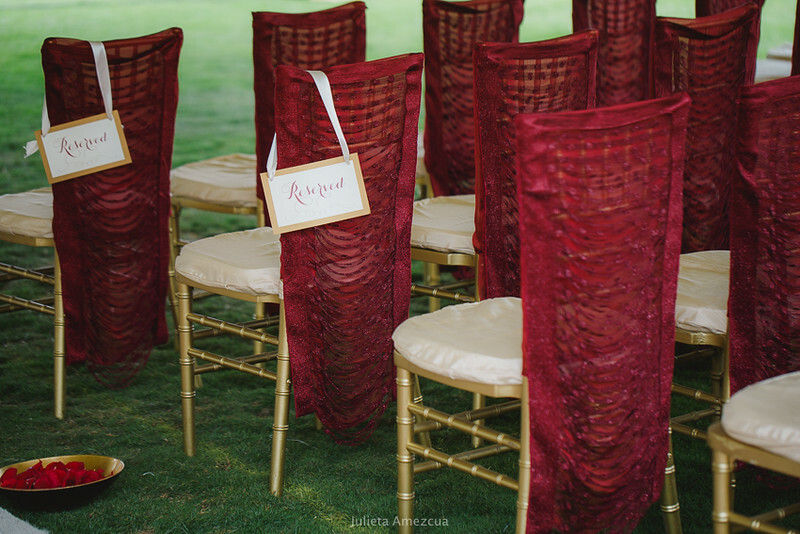 Hard to believe this all-ruby red and glittering gold ceremony setting was just ONE of the special events that took place over the celebratory weekend! 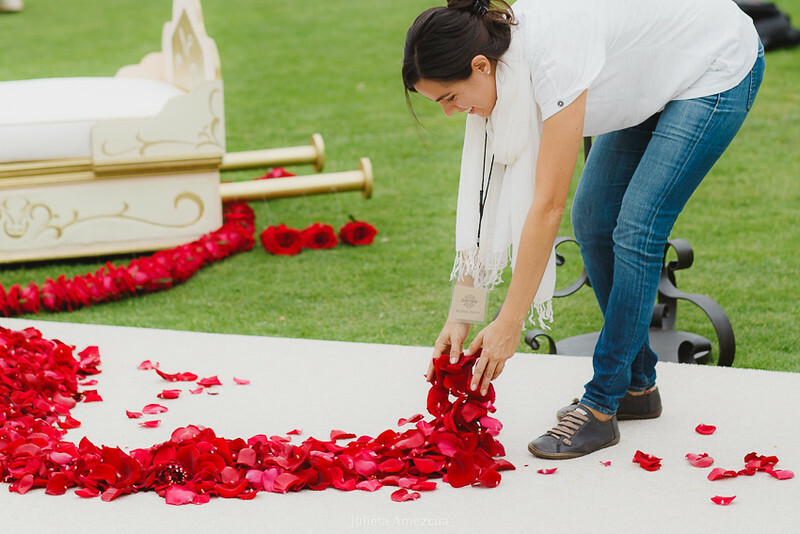 Elena beginning to shape the beautiful red petal design on the ceremony aisle. 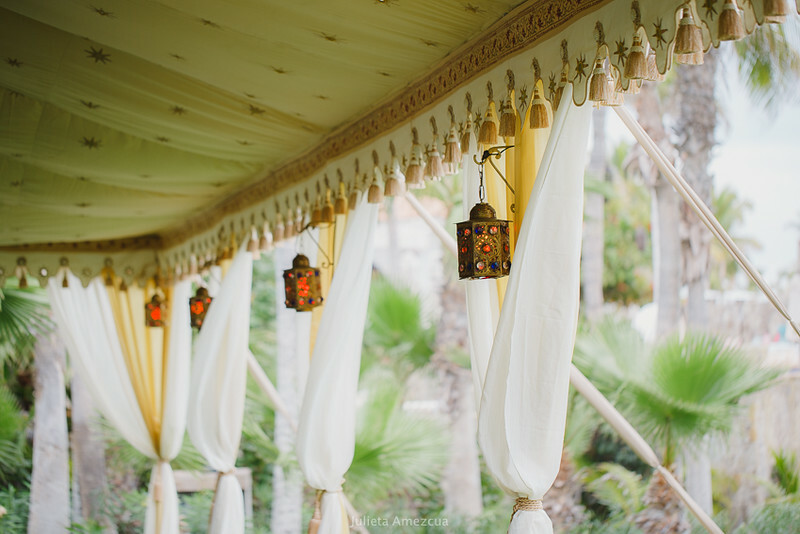 Guests could gather before, during and after the ceremony in these gorgeous canopies.